FHL Film 1254158, National Archives Film T9-0158, District 1033, Page 578B. Rhoda Culpepper and Joe Lee on 19 Mar 1883 in Thomas Co., GA.
Allen Culpepper and Charity Carter on 5 Jan 1905 in Thomas Co., GA, Book O-553. Allen Culpepper and Amanda Washington on 2 Dec 1911 in Thomas Co., GA, Book Q-420. FHL Film 1254167, National Archives Film T9-0167, Boston, Page 434C. E-mail written 2001 to Lew Griffin from Glenda Rolison York. FHL Film 1254450, National Archives Film T9-0450, 2nd Ward, Page 26B. 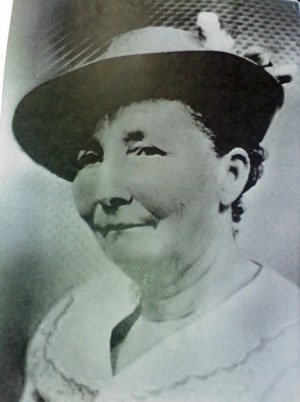 Sophy Culpepper, Dau, F, S, B, 6, GA/GA/AL. Brady Culpepper, Grandson, M, Black, 7, sng, TX/LA/TX. Amos West, Other, M, S, B, 9, LA/LA/LA, Nurse. E-mail written Dec 2009 to Warren L. Culpepper from Tonya Sanders, e-mail address.